"This was sent to me by a CoLAS (City of London Archaeological Society) member - it is a worrying development, regarding potential changes in how archaeological sites will be assessed. London Walks guides and London Walkers might want to know about this, and maybe sign the petition." 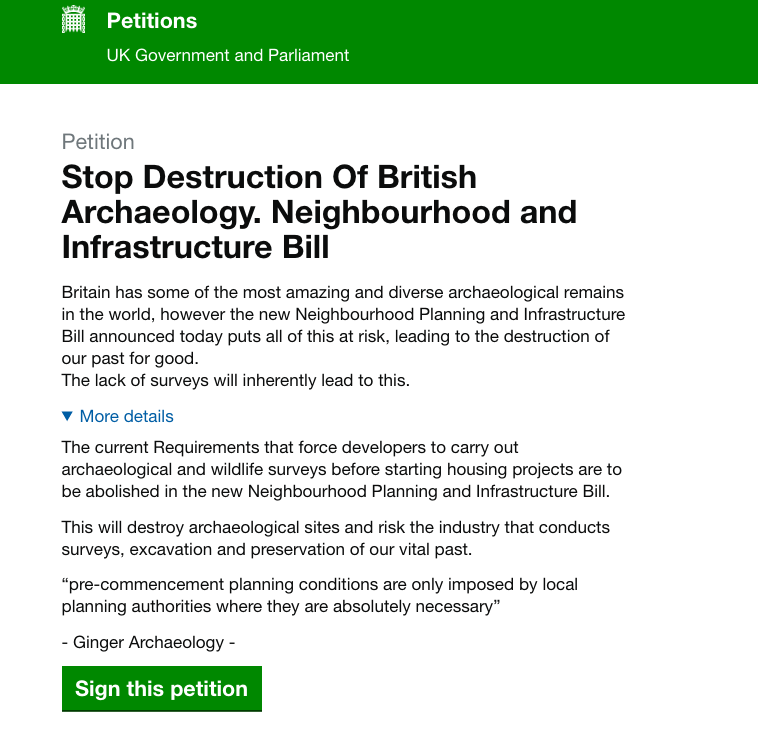 The current requirements that force developers to carry out archaeological and wildlife surveys before starting housing projects are to be abolished in the new Neighbourhood Planning and Infrastructure Bill. This will destroy archaeological sites and risk the industry that conducts surveys, excavation and preservation of our vital past. For more info, and to sign the petition, click HERE.